Roy Weard | In This House…..
Roy Weard is an author, writer, songwriter, singer, guitarist, live sound engineer and recording engineer. 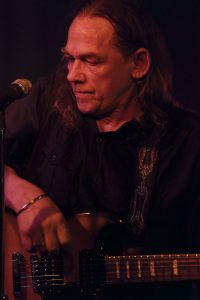 He has fronted, and written songs for, several bands since the 1970s including ‘Wooden Lion‘, ‘Dogwatch‘, ‘Roy Weard and Last Post‘ and ‘That Legendary Wooden Lion‘, and released the first album under his own name, ‘This House In Amber’, in 2017. The CD was released on 22nd April 2017 and you can order a copy from the shop.